32Soft - Reorder Point—When should I order inventory? Balancing inventory is essential for your business. If you order too early, you’ll tie up cash and spend needlessly on storage of excess items. Order too late and you’ll face disappointed customers. 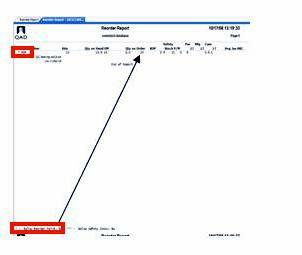 Knowing your reorder point (ROP) is an important step in adequately managing your replenishment process. The ROP is the level of inventory which triggers replenishment of an item. 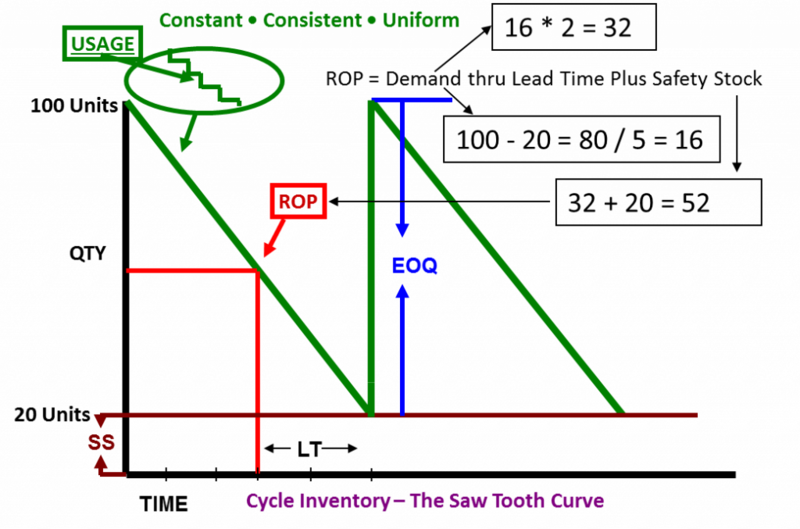 ROP is typically calculated as the forecasted usage during the replenishment lead time plus the safety stock quantity. Before MRP was introduced in the mid-1960s, Reorder Point was the primary method that companies used to trigger the planner to launch another order. 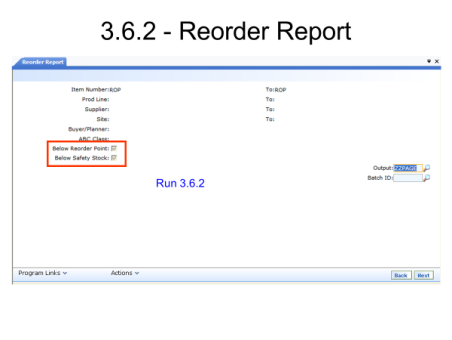 Regrettably, Reorder Point does not work well on items that are lower in the Bill of Materials than the end item, i.e., dependent demand items, because the point of demand for the lower level item only occurs at the point of the ROP for the higher level item. Coupled with the fact that ROP is a purely “reactive” process, ROP does not lend itself to a more robust materials requirements planning process. For items that are subject to independent demand, ROP is very functional. Demand = the projection of the statement of demand across the planning horizon, per period (either from MRP or from Historical usage). (Historical usage in QAD could be calculated by the sum of iss-unp, iss-wo and iss-so transactions in tr_hist table). The Lead Time as stated by the responsible buyer in QAD 1.4.7 Item Planning Maintenance or 1.4.17 Item-Site Planning Maintenance menus. The Safety Stock of the Item. Click here for information about how to calculate Safety Stock. Using this graph, we see that when the inventory on hand reaches 52, the planner would send a purchase request to the buyer or place a work order in the shop to produce more units. As continued usage proceeds, the orders would be completed and received to inventory, and the on-hand inventory would be replenished. The cycle would then repeat. In QAD this would equate to the Menu 3.6.2 Reorder Report. Don Lindsey, CFPIM, CIRM is a knowledgeable Implementation Project Manager, Trainer and Business Analyst for all areas of QAD. He has been an implementation manager on several large, complex MFG/PRO projects, and has worked with the QAD system since 2007 in Manufacturing, Systems Management, Service & Support, and Finance. Don has a diversified background in a wide variety of manufacturing industries from Medical to Electronics to Industrial to Consumer Products. He has spoken for many years at the APICS Conferences, having taught in the APIC Certification program at California State University @ Fullerton for over 20 years.